“BlacKkKlansman,” a Spike Lee film that tells the true story of Ron Stallworth, the first African-American in the Colorado Springs Police Department, and how he infiltrated the Ku Klux Klan. “The Hate U Give,” a novel by Angie Thomas, a Jackson native, whose main character Starr Carter, an African-American teenager, witnessed a police officer fatally shoot her childhood friend. “Jubilee,” by Margaret Walker, an American poet and writer, is a historical novel that centers on the story of a biracial slave during the American Civil War. Shawna Smith, assistant English professor, served as moderator. 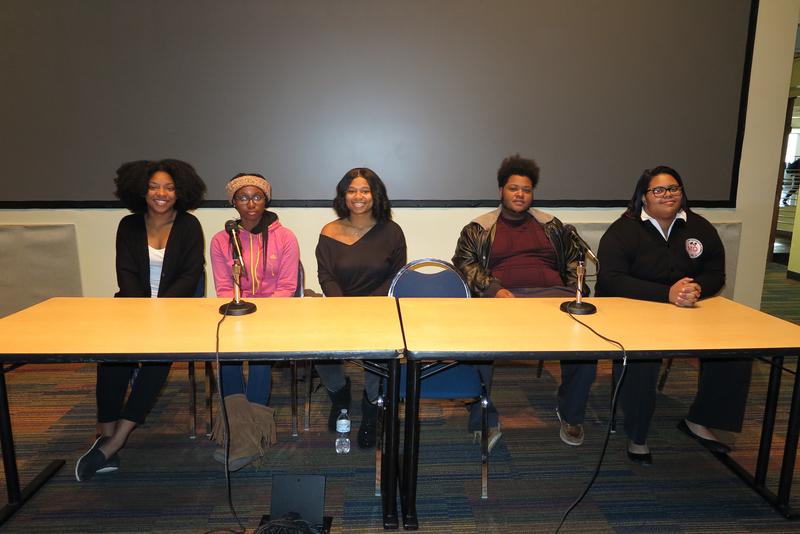 She asked the five-student panel if they found value in writing or rewriting narratives that tell dark moments in history; things that some people do not want to recollect or share. Tequilla Taylor, a biology pre-med major, said sharing stories that impact the history of African-Americans whether good or bad help to influence change. “It’s very important for young generations to know what happened to their ancestors and family members,” said the freshman. Terri Wells, a senior, also agreed and said the movie adaptation of “The Hate You Give” exposed the book’s message to a wider audience. “I know more people who have seen the movie versus reading the book, so by making it into a movie more people can experience what we experience (as young adults),” shared Wells, a political science major. A native of Chicago, Abreya Duke used the book “Heavy” by author Kiese Laymon to make her point. The history major said that despite Laymon’s mother not wanting certain aspects of their life depicted in his book, she still allowed him to tell their story. Smith turned the discussion to the movie “BlacKkKlansmen” and highlighted how the protagonist went undercover in the Klan organization to dismantle racist practices. The associate professor then asked students if infiltrating systems is still an effective way to end discriminatory behaviors. “I think where we are right now as a people; we’re a pretty building with bad infrastructure, and the best way to dismantle it without destroying everything is from the inside out,” responded Isiah Molten, a sophomore linguistics major. He further summarized that perfecting diplomacy skills can also aid in the process. In that same vein, Mikia Booker, a junior transfer student, said she changed as a person due to her experiences attending the University of Missouri and witnessing the unrest in Ferguson, Missouri after Michael Brown, 18, was mortally wounded by a police officer. “Then Donald Trump got elected,” said Booker, who then decided to switch her major from education to criminal justice to “be the change you want to see.” She also expressed that she was tired of seeing unarmed black men killed and children separated from their parents. Keanne Williams, a childcare and family education major, attended the panel and found a commonality with Booker’s story. “I’m an education major, but I’m heavily immersed in the political world. 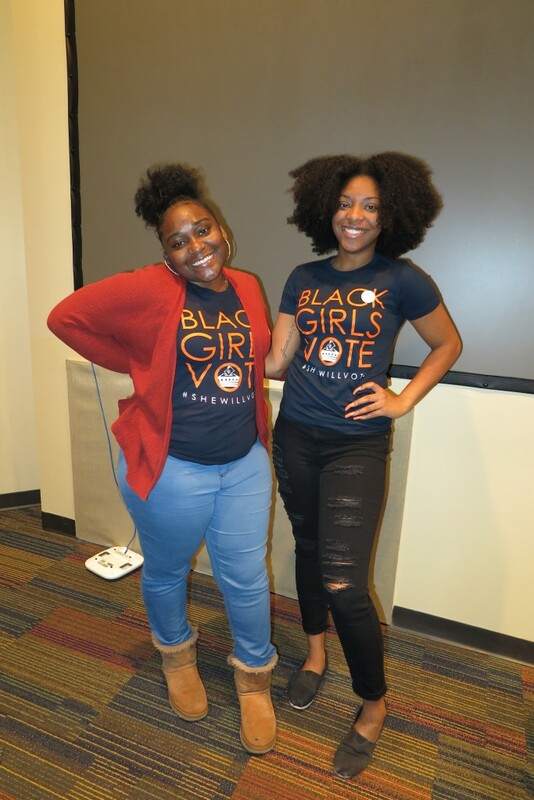 So that has greatly changed what I plan to do in the future,” said the senior, who is also an intern at Mississippi Votes a non-partisan organization designed to help encourage and mobilize voters young and old. Although the Chicago native still plans to teach, she said that she will eventually end up working in government. Williams also voiced that a lot of the issues discussed during the panel can be addressed through the voting process. “College-age students have always been in front of movements. Being an intern (at Mississippi Votes), we met people from Freedom Summer ‘64 and talked to them about what they were doing about voting when they were our age in Mississippi,” she explained. Williams added that a lot of people think we (youth) don’t care. “They think we’re uninterested and were disconnected, but we’re not. We are a generation of people fighting for the next generations. We’re here. We’re trying,” she said.